The 11 EcoDrive women joined forces at the Upper House Sky Lounge to host an exclusive screening of their first-ever short film, Start Small, Start Now. The eco-warriors behind the Hong Kong movement in no particular order are Yolanda Choy-Tang, Emily Lam-Ho, Cissy Wang, Tansy Lau-Tom, Sabrina Pang-Fung, Angela Cheng-Matsuzawa, Jennifer Wang-Fang, Julie Lee, Claire Yates, Laura Derry-Southwood and Sherry Fung—all passionate about tackling the growing waste problem facing Hong Kong. Exposing the single-use plastic crisis, the 18-minute film gripped the audience, with guests including Peter Lam, Lynn Hsieh, Donnie Yen and Jeanine Hsu spotted in the packed crowd. The film also offered suggestions on how we can all do our bit to help, with Emily and Sherry addressing the crowd to highlight the sense of urgency surrounding the issue. Peter Lam Chairman of Lai Sun Development, Media Asia Group Holdings and Hong Kong Tourism Board. Emily Lam-Ho CEO and founder of Empact28; married to Kent Ho with two children. Donnie Yen Donnie is a Hong Kong actor, martial artist, film director, producer, action choreographer and multiple winner of the world wushu tournament. Angela Cheng-Matsuzawa Advocate of clean eating and living; co-founder of Hong Kong juice-cleanse company Punch Detox. 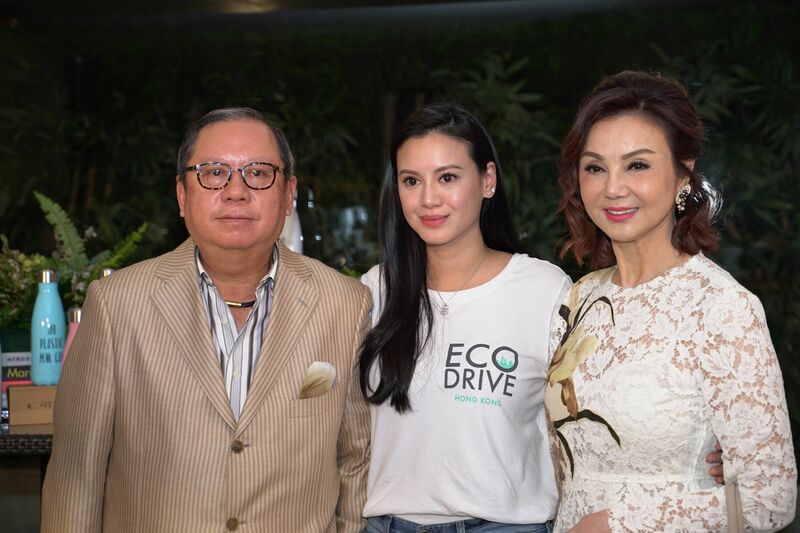 Yolanda Choy-Tang Co-founder of EcoDrive; founding partner of Central Weddings and The Private Wine Company. Tansy Lau-Tom Member of the Wing Lung Bank dynasty and keen supporter of Hong Kong Dog Rescue.